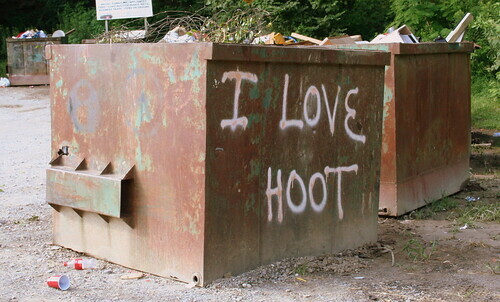 In more rural areas of the South roadside Garbage pickup is not something that is practical. This leads to you having to cart a stinking trunk full of garbage to a dump. 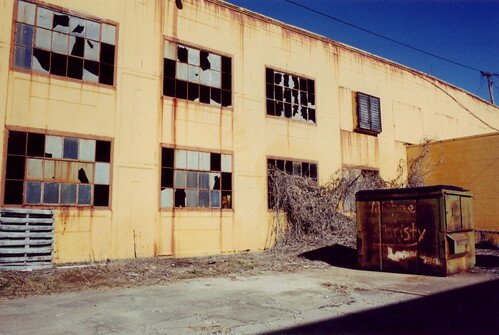 In most areas there are satellite dumping areas that are well maintained and regulated. 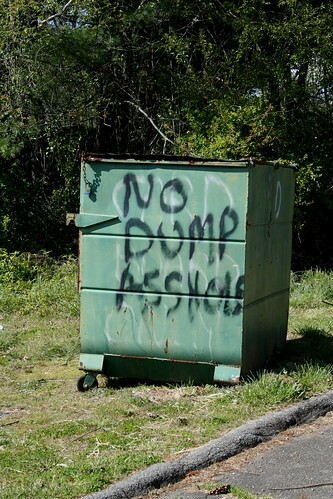 In even more rural areas a roadside pull off with a few dumpsters will have to do. 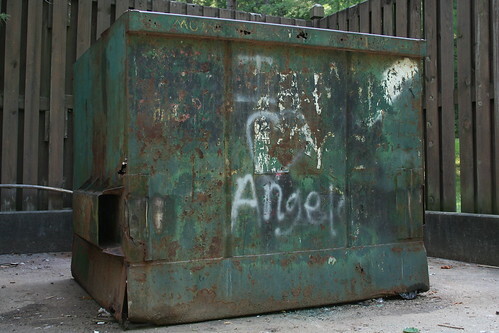 At one of these ungoverned roadside dumping areas I discovered something that fascinated me. 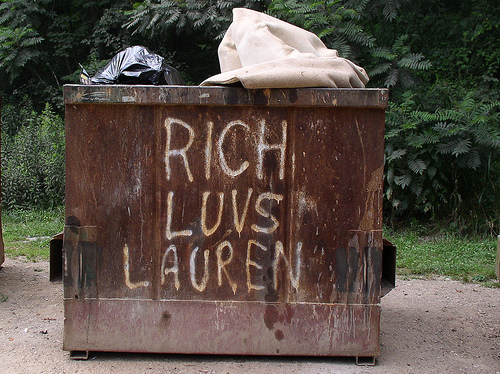 Some love sick fool named Rich decided the best way to express his love for the lovely Lauren was to paint it on the side of a smelly rusty dumpster. 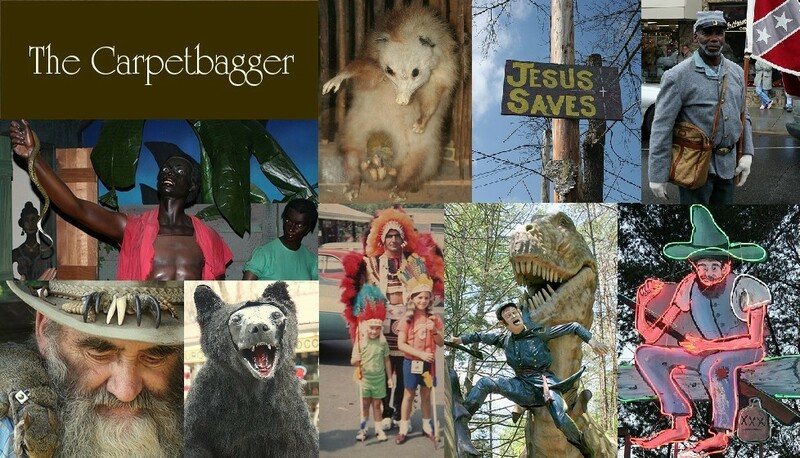 What is even more surprising to me is that once I started looking this turned out to not be an isolated incident. 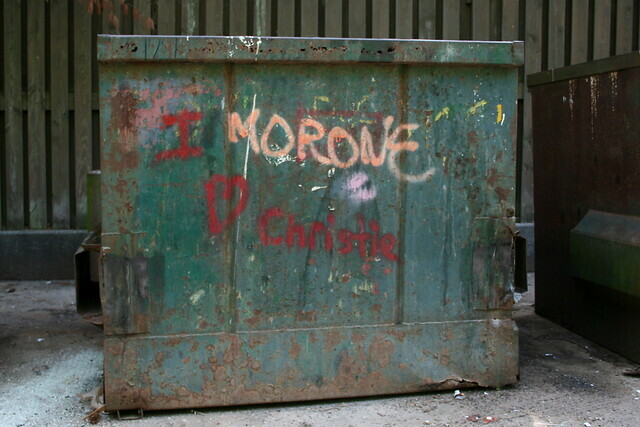 Of course professing love is not the only thing that Dumpsters are good for. They can also be used to make a strong point. Or to remember a fallen loved one. 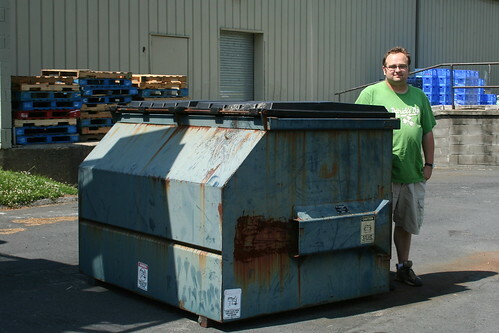 While we are on the subject of dumpsters here is a picture next to the Dumpster where Appalachian Terrorist and Olympic Bomber Eric Rudolph was finally arrested while he was eating garbage.